The story behind Every Album & Every Song brings the era of Beatlemania to life with revealing and authoritative stories about the group’s hit recordings. Together, John Lennon, Paul McCartney, George Harrison and Ringo Starr became the world’s greatest rock and roll group and forever shaped music and culture with their groundbreaking songs. This 128-page special goes deep into each of the Beatles’ 13 albums—from Please Please Me to A Hard Day’s Night, from Sgt. Pepper’s Lonely Hearts Club Band to Abbey Road—to reveal the stories behind their creation. 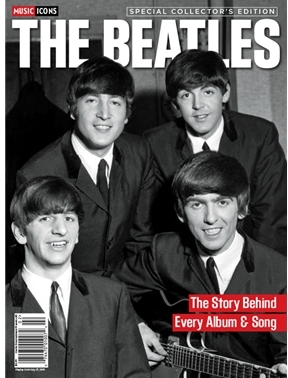 This edition also looks into the making of every single Beatles song—more than 200—with insights about the inspirations and recording innovations that made them timeless hits. Along the way, readers will relive the excitement of Beatlemania, learn how the Beatles changed music and the recording industry, and discover new details about the making of their favorite Beatles albums and songs.